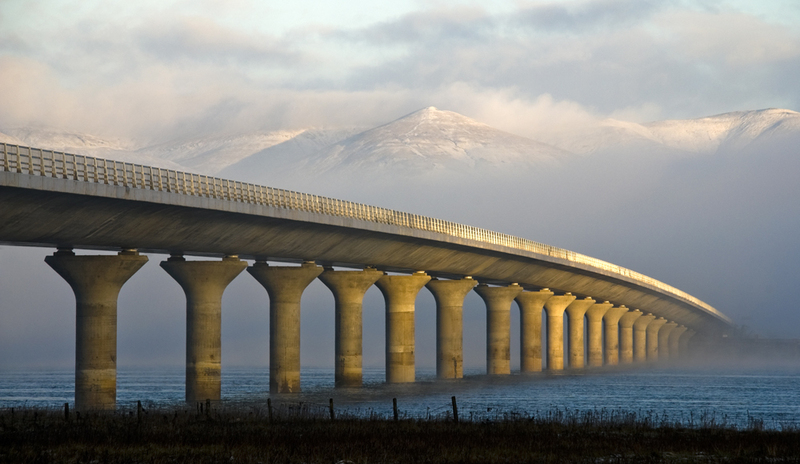 Prior to working more like a semi-professional photographer, Simon was an award-winning Civil and Structural Engineer, with 40 years experience in the design and construction of major bridges all over the world. Simon was the first employee of Benaim in 1982 and worked for the company until 2011. 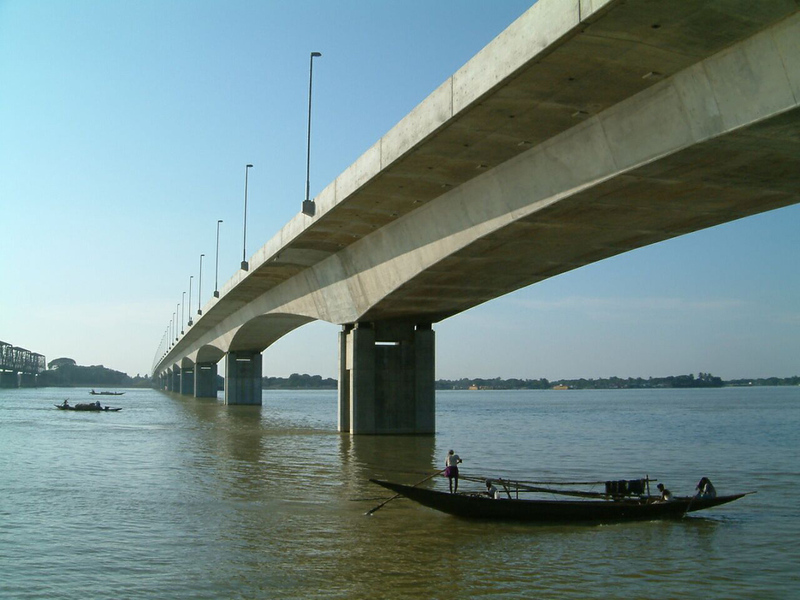 Benaim was a consultancy that specialised in the design of major bridges for contractors. Simon then led the sale of Benaim to Scott Wilson in 2008 but left in 2011 to operate as an independent consultant and photographer. He is still a recognised leader in the construction industry for the design of major bridges and viaducts, and has written many papers and technical guides on bridge design and construction, many of which are described below. Simon has just had a paper published in The Structural Engineer entitled "Bridges for Structural Engineers". Part 1 was published in January 2019, while Part 2 was published in the March 2019 issue of the magazine. The paper stems from a series of bridge concerns (including some failures) over the last couple of years, including the FIU Footbridge in Florida and the Polcevera Viaduct in Genoa. While looking at these collapses, it has become apparent that the crucial issues are related to the construction (or poor maintenance) process and its supervision, poor design and detailing, new solutions, and inexperience of the team. While mainly aimed at Structural Engineers, by highlighting the many issues that are seen in bridges that are not seen in buildings, the two papers are a useful aide-memoire for Civil Engineers too. The nine issuse highlighted are - Construction, Aesthetics, Value, Environmental Effects, Loads, Materials, Structural Elements, Structural Effects and Detailing. He concludes that the best bridge engineers are the creative individuals with a wide range of social, visionary and technical skills. These single guiding hands are the true engineers, not simply technocrats, who have a vision and aesthetic sense, leadership, client and stakeholder awareness and a wide range of technical skills. They will fully understand construction with a strong appreciation of methods, details, programmes, costs and safety, in order to bring best value for the owner, stakeholders and wider community. Brunel should be proud of them, and perhaps such engineers are the best way to highlight the important role of engineers in our society today. The word engineer is related to ingenuity not engine and therefore all engineers should aspire to be ingenious. To a certain extent, the paper is a (not so thinly veiled) criticism of many Engineers currently, who are over-reliant on codes, analyses, spreadsheets and software generally, and who do not appreciate the fundamentals of aesthetics, construction, costs, maintenance or indeed structural behaviour. This has resulted in a generation of people who are good analysts but poor Engineers, who can neither develop good concepts and detailed designs, nor good details. At each stage of these nine issues, the Engineer should take the lead. 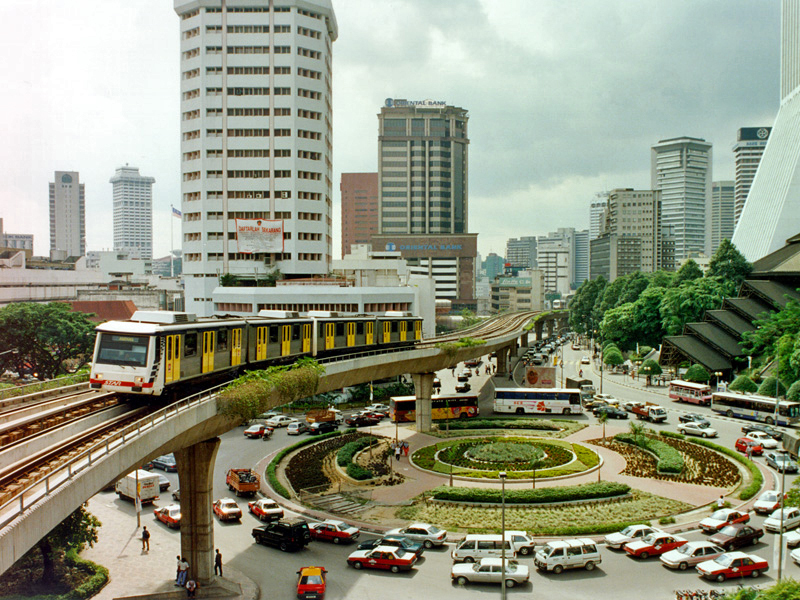 However currently, it is clear in many cases that at each stage, it is either the Owner, the Architect, the Contractor or the Sub-contractors who take the lead, with the “Engineer" just doing what he is told. That situation is incorrect at all levels and must be reversed. He was very proud to have won the IABSE Milne Medal in 2012 for his personal contribution to excellence in Structural Engineering. His IABSE Milne Medal paper was then published in The Structural Engineer in February 2013, entitled Prestressing: recovery of the lost art. He also wrote a summary paper about the great care needed in good bridge design that was published in The Structural Engineer in January 2015, entitled Landmark bridges – utilitas versus venustas. He then produced and wrote the whole of CBDG Technical Guide 14 on Best Construction Methods for Concrete Bridge Decks – Cost Data, which was published in 2015. This was the first time that such detailed programme and cost data had been made available for every type of concrete bridge. Simon also wrote the CBDG Technical Guide 15 - Bridge Replacement Guide, which was published at the end of 2017. It was sponsored by Highways England, Transport Scotland and Network Rail, amongst others. It describes the best solutions for typical bridge replacement schemes - these tend to be 10-40m single spans that need to be built quickly, safely and effectively over live carriageways. 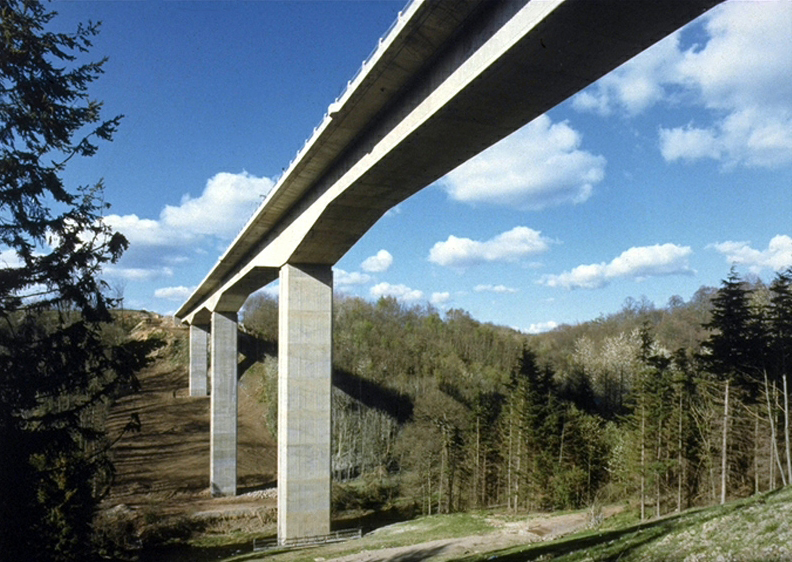 As well as standard Highway and Railway Bridge in-situ and precast options, it also describes an innovative precast system for concrete Railway Bridges, which allows solutions of the same depth as any steelwork option to be built as quickly and economically as any steelwork option - a major step forwards in the UK market, now known as the "UU-Bridge" or the "Bourne Bridge". The guide also describes some new methods for building in-situ schemes quickly and easily in these situations. A special article on the "UU-Bridge" was also published by The Concrete Centre in the Winter 2017 issue of Concrete Quarterly. Finally, Simon has designed many award-winning bridges over the last 40 years, which have been recognised for their elegance, economy and innovation. 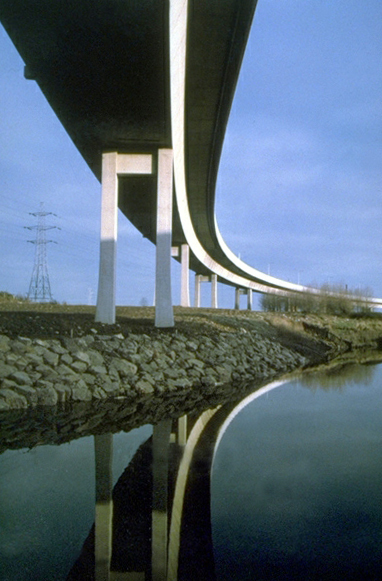 These include the East Moors Viaduct in Cardiff, the River Dee Viaduct in Clwyd, the Belfast Cross Harbour Road and Rail Links, the STAR LRTS Viaducts in Kuala Lumpur, the A13 West of Heathway Viaduct in East London, the Bhairab Bridge in Bangladesh and the multi-award winning Clackmannanshire Bridge across the Firth of Forth. 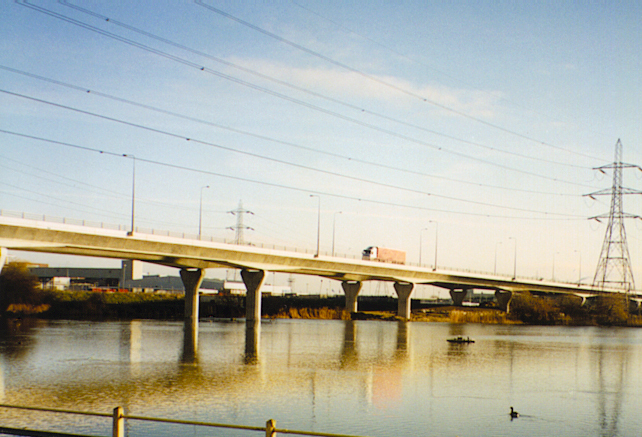 He wrote the whole of the ICE paper on Clackmannanshire Bridge that is shown below.